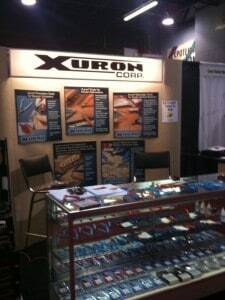 Xuron Corporation guarantees its products to be free of defects in materials and/or workmanship for the life of the tool providing the tool has been used as recommended by Xuron Corporation. 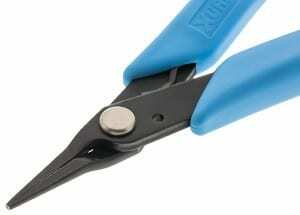 Unless specified otherwise, Xuron® Cutters are not intended for use on any type of hardened wire. At Xuron Corporation, we are exceptionally conscious of the fact that you have spent your hard-earned money to purchase our products and we want you to feel you have received what you’ve paid for (in quality and value). Our internal quality control process is comprised of multiple steps from incoming inspection of raw material to testing each tool before it leaves our factory. We are, however, human and mistakes can be made or flaws missed. This is why all products manufactured and sold by Xuron Corporation come with our warranty. 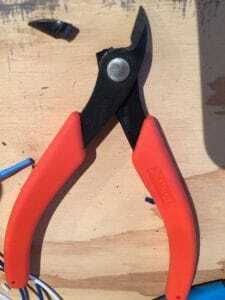 The perfect pliers are right at the end of each of your arms…your fingers. 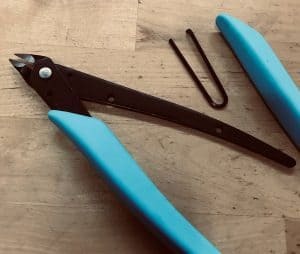 Well, maybe they’re not the most perfect pliers…let me explain why. As strong as your fingers are, they don’t have the strength and rigidity necessary to do many of the tasks you want to do. You might have fingers that are too short, too fat or they might lack the dexterity necessary to perform delicate tasks. 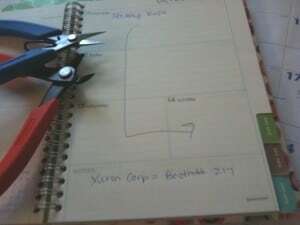 My fingers don’t have the dexterity they did in my youth so I reach for a tool suited for the job. iHobby Expo 2012 – it’s that time of year again! It’s hard to wrap my brain around the fact that in 4 weeks I’ll be heading to Cleveland, Ohio for the iHobby Expo. iHobby Expo 2012 – Will Cleveland “Rock”? When I first heard that the HMA (Hobby Manufacturer’s Association) was moving the annual iHobby Expo from Chicago (Rosemont), Illinois to Cleveland, Ohio, I was, to say the least underwhelmed. That feeling, however, lasted about 5 minutes. I had to put aside my “creature of habit” attitude and realize that a new venue is good for everyone — especially the consumers in the Cleveland area that will have the opportunity to experience this event and meet with major hobby product manufacturers (like Xuron Corp)!